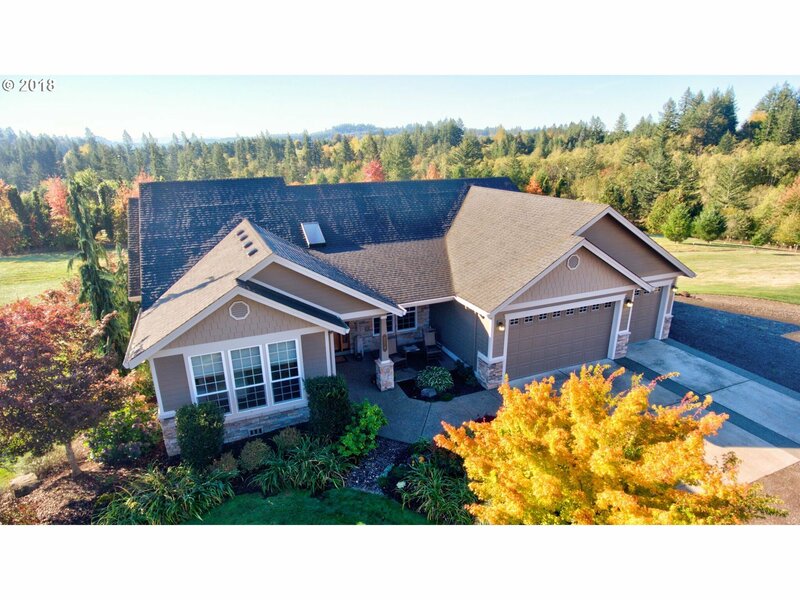 Custom home on 5 acre horse property. Gourmet kitchen, granite counters, and hardwoods throughout main. Main level master suite with dual head shower, heated floors, additional bedroom, bath and office on main. Huge windows, skylights, surround sound, laundry rooms, lots of storage, incredible covered deck on main, patio off daylight basement level. Shop/barn, fenced for horses. Main bathroom mirror, wine fridge and tv not included.